Crowne Plaza Coogee Beach has just completed a multi million dollar total rooms refurbishment. The hotel offers the most up-to-date rooms in Sydney at a beautiful beachside location. Affectionately known as 'Sydney's Seaside Village' Coogee is just a few kilometers from the centre of Sydney. 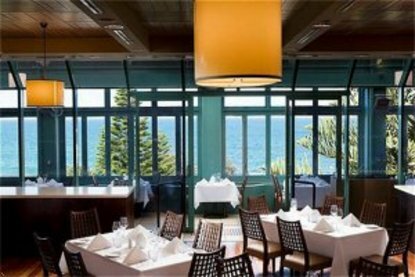 Located opposite the beach Crowne Plaza Coogee Beach offers panoramic views of the Pacific Ocean. Coogee is surrounded by one of the East Coast's most breathtaking beaches and headlands and embraces a relaxed, casual setting. Its location makes it convenient to play a round of golf at one of the many courses nearby, do a little shopping, watch the cricket at the Sydney Cricket Ground or even place a bet at the world-famous Randwick racecourse. The hotel has two restaurants and two bars, all offering stunning ocean views. The Bluesalt seafood restaurant was recently launched and opened its doors for dinner on 12 May, the restaurant is currently open for dinner from 6pm till late. All guest rooms have high-speed broadband internet, 32 inch flat screen TV&regs and in-house movies. By choosing Crowne Plaza Coogee Beach you will experience what coastal Sydney living is all about without sacrificing convenience to the city.